Like many, you might have a stigma associated with military recruiters. Ceaseless phone calls, high pressure sales, and four letter words may come to mind when these guys call asking for you or someone you know in an attempt to “recruit” them. I had the opportunity to serve as a Marine Corps recruiter for the last nine years, I supervised recruiters for the majority of that time. Our mission is to contact as many of-age people as possible to determine qualification and interest- then sell them on the opportunities in the Marines… we’d contact people primarily through phone calls and canvassing the local area. As you can imagine, this can make for a long day. We made a lot of phone calls with little results, we were all working incredibly hard. My frustration led me to seek out better practices to reach our market. I strongly felt there was a disconnect between the training the Marine Corps provided to new recruiters, and the way recruiting actually was. I needed a solution that was both efficient and effective, that’s when I turned to social media. Initially I made a lot of mistakes using social, from automating posts to copy-and-paste lead response emails. Even sharing our polished national marketing messages locally didn’t seem to work. I was frustrated and convinced social media- and Facebook didn’t work. In 2012, I gave Facebook another shot. I snapped a quick photo of two brand new Marines who dropped in after completing boot camp. I added a simple caption and posted the picture to our Facebook Page, then I tagged both of them in the picture. Almost instantly, likes, comments, shares and conversations from loved ones supporting these young men transpired right before my eyes. Regular posts like this led to an involved community and a real relationship with our target market and their influencers- it was human. My team and I set out to enhance real-life interactions with our community, we were determined to go the extra mile and create an experience for our prospects. Together, we integrated social media into our daily workflow. This was an all-inclusive system: sales, lead collection, follow up, marketing, promotion, employee advocacy and even customer advocacy. 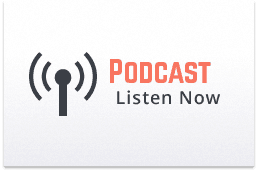 Our primary goal was to create transparency in the way we do business to win over skeptics by earning trust and generating interest. We now had the ability to reach out to our target market..in other words, the right kind of people. We were breaking down misnomers and skepticism about Marine recruiters; we created a positive experience for those who’ve made the choice to serve- we put it all online, people love that. In 2013, I scaled the social media infrastructure and training to our entire territory comprised of Utah, Idaho and Montana. Interestingly enough, social media didn’t just help bring in more applicants, it was winning the hearts and minds of all stakeholders. Marines felt they had a shared sense of trust and ownership in the Marine Corps brand and recruiting operations. Parents and influencers were able to be more involved with the process of preparing their son or daughter to become a United States Marine. In late 2013 I was given an opportunity to move my family out to San Diego and spearhead recruiting efforts on Social Media, as the Social Media Director. I collaborated with our public affairs, advertising, and recruiting operations team to develop a social media policy. Then, I built our social media infrastructure and a training package followed. I’m now in the process of making my way to all Marine Corps recruiting stations and Officer Selections Team locations dispersed over 1.5 million square miles of the western United States. 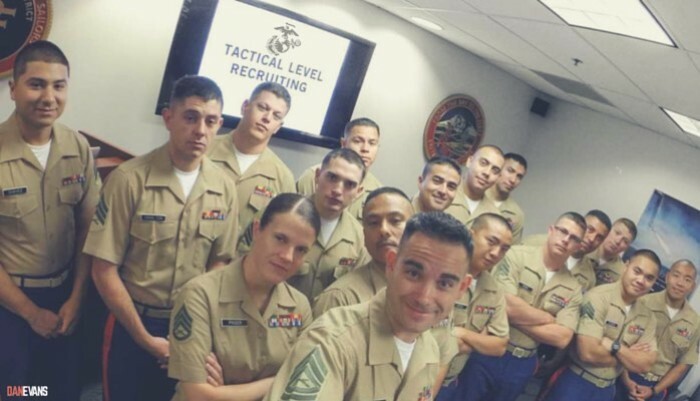 Most of my time is spent educating Marines on how social media works; starting with leveraging their personal profile to create the right first impression and perception. I want to make sure anyone who may stumble across a Marine’s personal profile isn’t turned off by something that could’ve been prevented. When you help people become better online storytellers; teach them to create compelling real-time content and its on-brand, you’ve got it made. We’ve had stunning employee generated content that undoubtedly had a positive impact on recruiting, both internally and externally. Our territory is comprised of 170 local Facebook pages, 8 regional Instagram accounts, and 8 Twitter handle’s- all on-brand, monitored and tracked. We have over 500 Marines, each one empowered to tell the Marine Corps story; they are true employee advocates engaging our market through official channels. The overall landscape of military recruiting has changed, recent downsizing has made recruiting increasingly challenging- I believe recruiting will only be as challenging as our ability to adapt to our environment. Great content has the ability to connect the local community to the Marine Corps– it’s authentic, it complements our national recruiting advertising efforts. My vision is continuing to use technology as a medium to create transparency in military recruitment, facilitate trust within our ranks, and help the right people see the value and potential opportunities they have to serve our great nation; curated by our people in a place where our market spends their time and feels most comfortable- on social media. I would be truly honored if you’d share this article with a friend or colleague. I’d love to get your thoughts in the comments below.